I learned of the holiday known as National Ice Cream Day when I went to my local flea market which is kiddy corner from The American Museum of Natural History (AMNH). According to Holiday Insights (HI), it is always celebrated on the third Sunday of the month. HI writes "In 1984, President Ronald Reagan proclaimed July as National Ice Cream Month. He also established National Ice Cream Day as the third Sunday in the month." The holiday could've easily come and gone without my knowing it, because I either had forgotten about this occasion, or, I didn't realize that yesterday was already the third Sunday of the month! But because of my Sunday routine I was made aware of the holiday. You see, quite often on Sunday I will bring my "materials" to a composting station at a nearby Greenmarket that is situated parallel to the grounds of The AMNH. On occasion, after doing so, I will check out my local flea market since it is in such close proximity. Yesterday, there was an array of ice cream vendors at that flea market, which is not the norm, and the array of what each one offered was mind boggling, causing me to recall the Mutts strip which I've posted atop this entry. 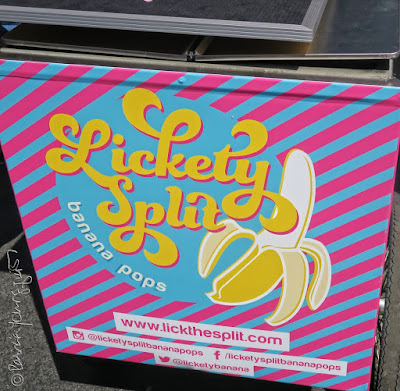 Unfortunately I was not feeling very well and eating ice cream would not have been an option, but I still was able to check out the array of vendors, and since they are NYC based, there's a good chance that I can try their products when I'm feeling better. 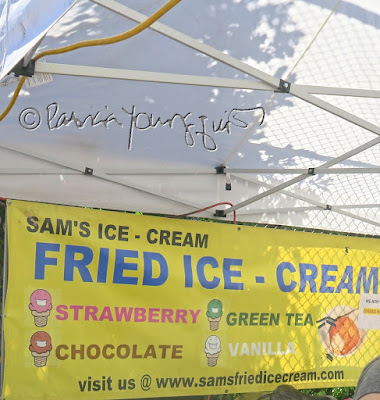 I need not worry that I could not do so on the official day, for, as I just stated President Regan, ear-marked the entire month of July as National Ice Cream month. And if I'm not feeling better during the fifteen days that remain in July, I can always celebrate on December 13th, which is Ice Cream Day! 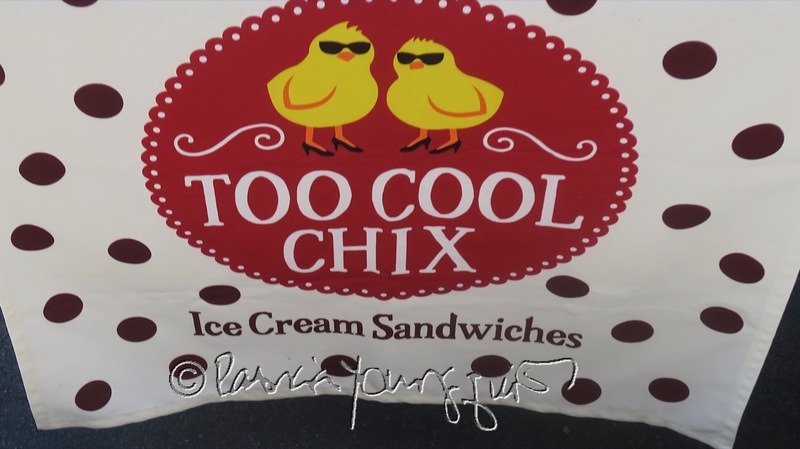 In any event, for you New Yorkers who may have missed National Ice Cream Day, fear not, I have the scoop (excuse the pun) on the various vendors who participated at my local flea market and you can check them out at your leisure. The first one that I came upon was Too Cool Chix Ice Cream sandwiches. 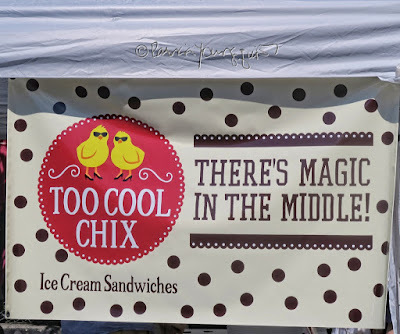 Their web-site states:"The founders of Too Cool Chix are Michele Elmer and Sharon Monahan. 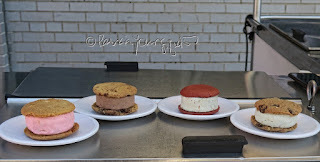 Together they’ve elevated the humble ice cream sandwich because they think outside the pint." 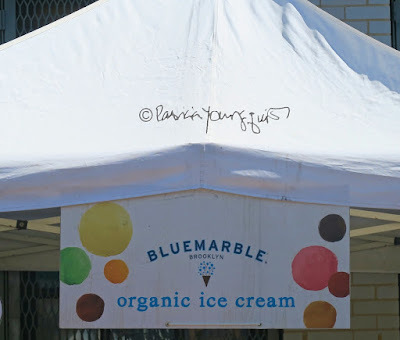 I am hoping to feel well enough to try their "Beauty Bar," which is Lavender Ice Cream with a Soft Lemon Cookie. and I boldly proposed they came up with a flavor in Cam's honor! 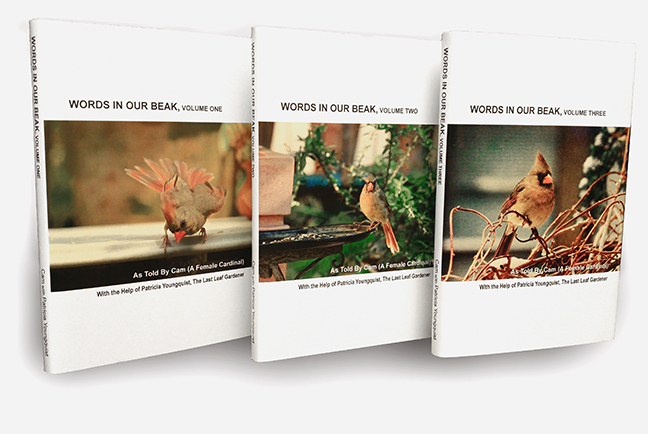 Rather they do this or not, I intend to try their product and encourage you to do so also, dear reader. 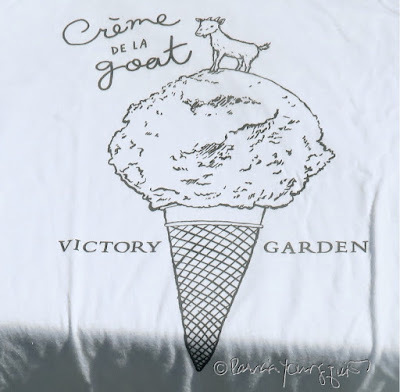 Another vendor that I came upon was VICTORY GARDEN, featuring gelato made from goat's milk. I will be eager to try this at some point, for my cyber-freindship with the goat-raising, Italy-based Michelle Fabio, has always been an impetus for me to try products made with goat's milk. Readers of my blog may recall that I've written about Fabio in by gone years. 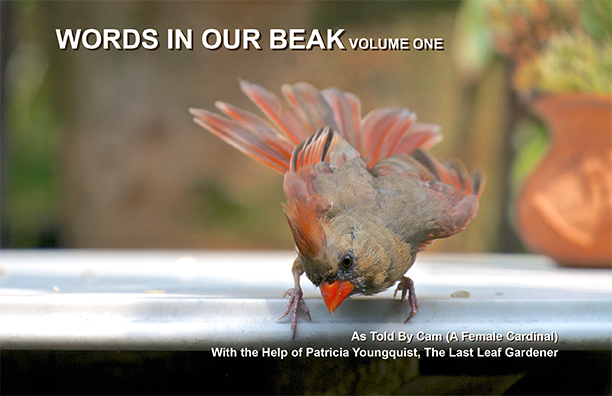 Moreover, Fabio has reviewed the digital version of Words In Our Beak Volume One for Goodreads. Be that as it may I'm intrigued by products made with goats milk because of the wonderful cheeses made by Ardith Mae, who sells them at the greenmarket that I go to on Sundays. 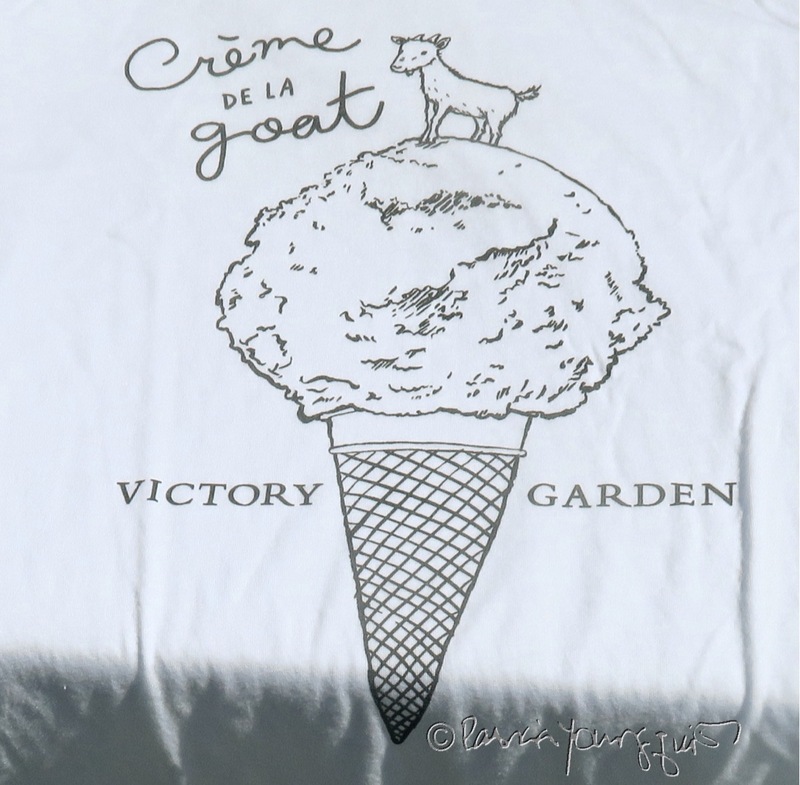 The folks at VICTORY GARDEN were very accommodating and if their product is anything like the goodness they showed, I'm in for a taste treat when I'm on the mend! 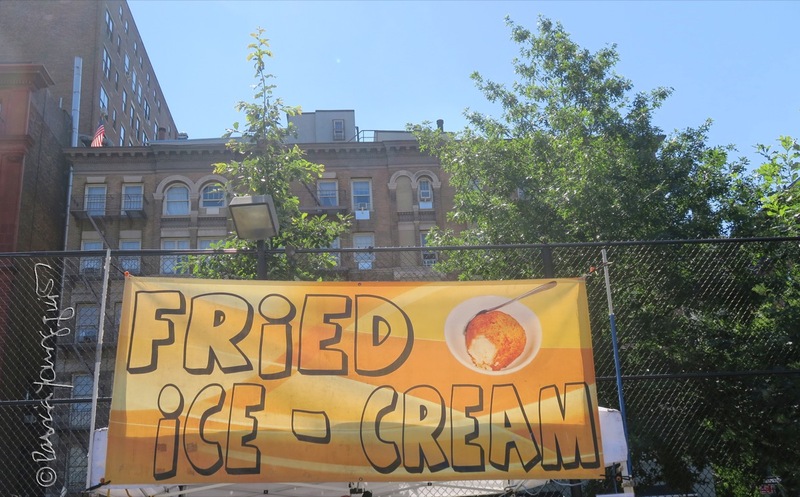 There was also a vendor there selling fried ice cream, which is something I became familiar with the first year I moved to NYC, although I've only had it at Japanese restaurants. Therefore, I was glad this type of ice cream being represented by a place called Sam's Ice Cream. 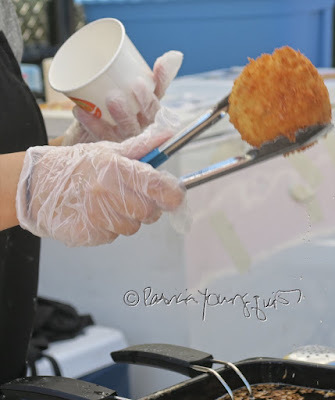 Another ice cream vendor who participated at Sunday's market was Taiyaki. "Our story begins with part faith, part love, and part luck. 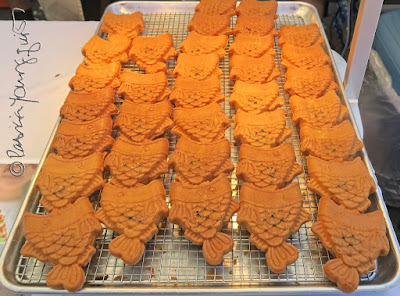 With members from numerous Far East cities like GuangZhou, Taiwan, Mandalay, Haiphong, and Tokyo, only faith could have brought the family at Taiyaki NYC together to the city that never sleeps. While growing up as first/second-generation Asian Americans in New York, the Taiyaki NYC family had one love in common—embracing our heritage and identity through our love for travel and food. 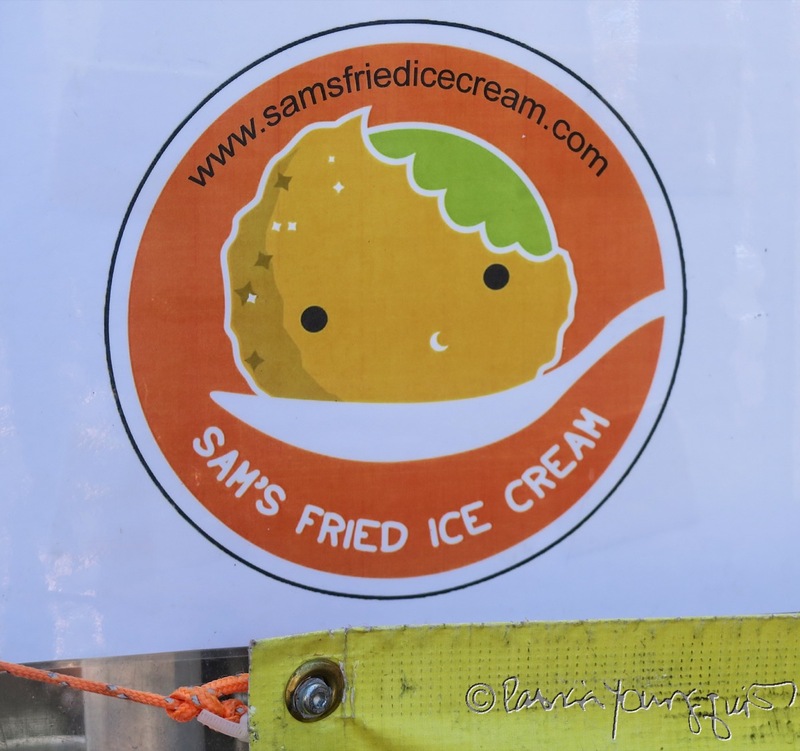 After many trips and adventures to the food “meccas” of the world—the streets of Taiwan, Hong Kong, Malaysia, Korea, and Japan (and with a hint of luck)—we stumbled upon an idea that speaks the global dessert language of ice cream and waffles! With those three perfect ingredients—faith, love, and luck—Taiyaki NYC was born. 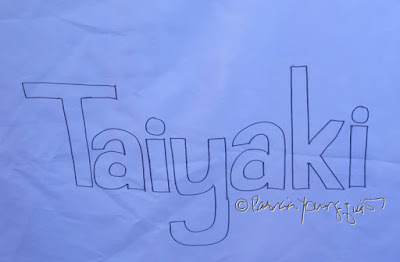 "At Taiyaki NYC, we work hard as a family to focus on quality and consistency in the products we sell to our community. 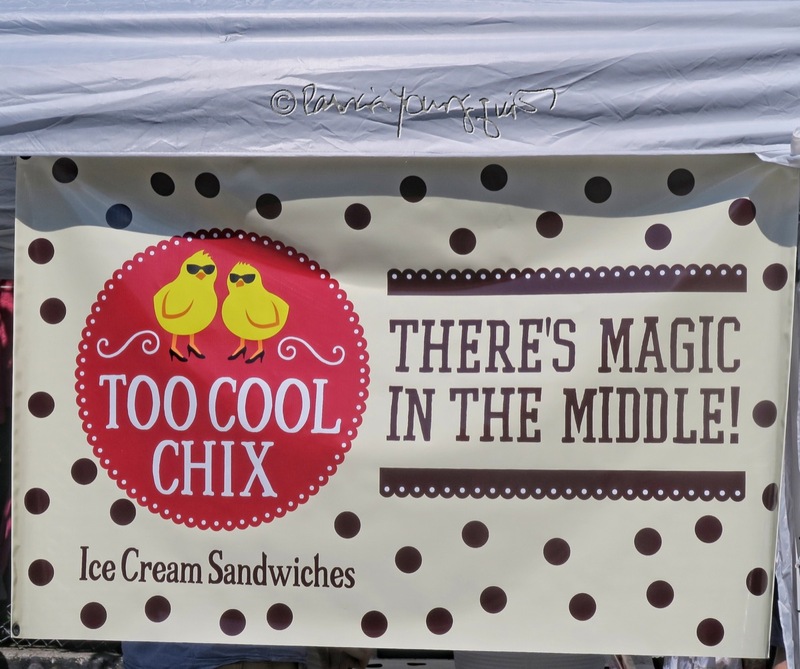 Our ice cream and taiyaki waffles are made from the highest quality ingredients. Our waffles are made fresh on-site, and our soft serve ice cream is produced and churned in small batches to preserve the true integrity of how a real soft serve should taste. We strive to keep our customers happy and satisfied while leaving a minimal footprint on our planet. We strive to work with people and organizations all across NYC. Our goal is to give back to the community the best we can. By doing so, we hope to build a community store that is deeply rooted in the neighbor we serve." 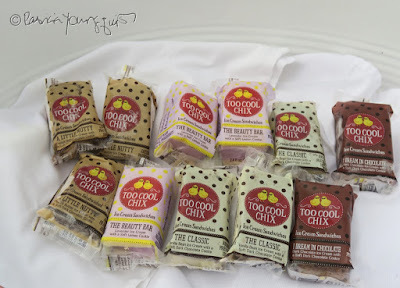 I love anything fish-related and do hope to be able to try their delicious looking product! 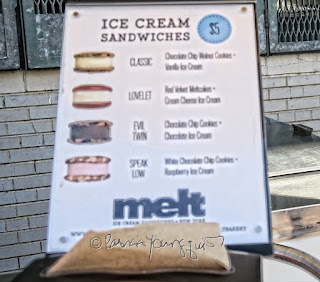 Folks from melt, an ice cream sandwich company were also there. 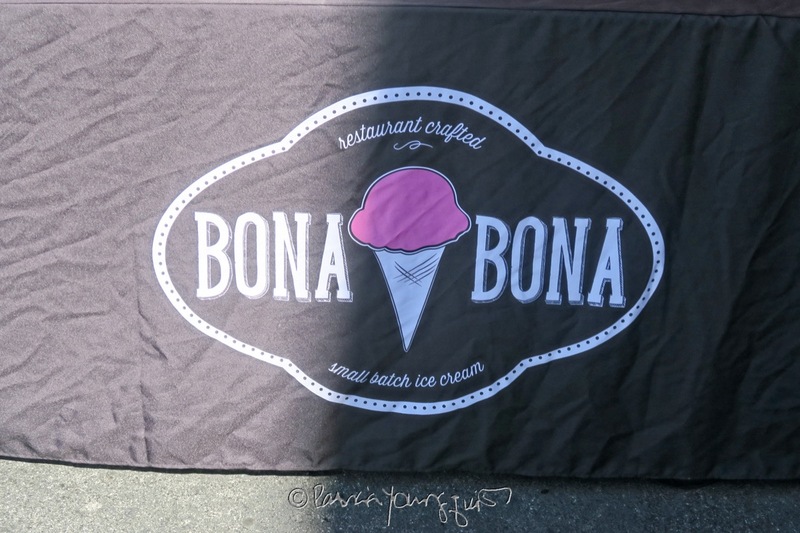 I have a lot of ice cream places to check out once I'm on the mend, which will hopefully be soon! 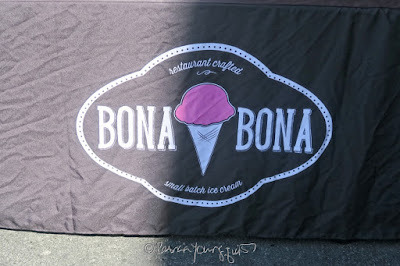 For time is marching on re holidays honoring ice cream! Today there is another: National Peach Ice Cream Day, which is always celebrated on July 17th.